Alex Brookes, Sales Executive of Dawson’s birthed the idea of appraoching Mr JWW to implement Bang & Olufsen products into NVN’s new London space. The exclusive customer lounge at NVN London provides the perfect seclusion from what is otherwise a large industrial warehouse, albeit a surgically clean one. A space providing the highest possible level of detailing and specialist paint protection to cars. 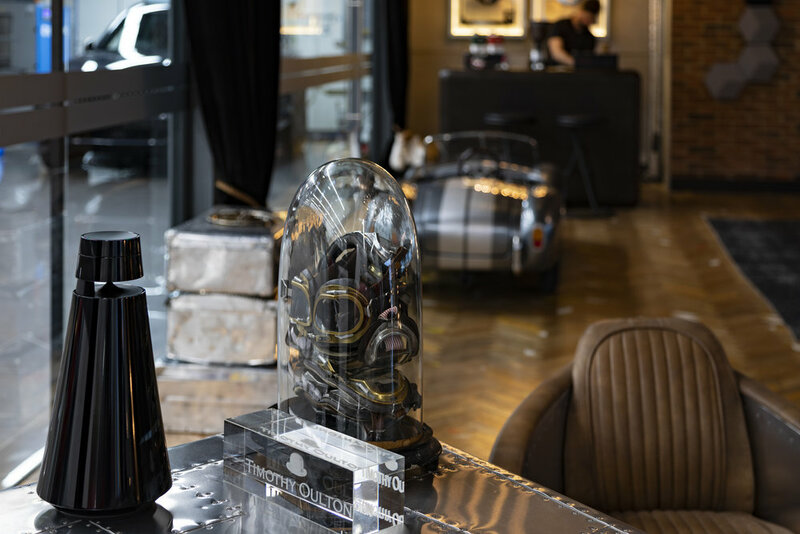 What better way to juxtapose that space than a warm & welcoming lounge filled with esoteric furnishing, the smell of fresh coffee and incredible but unassuming infotainment.